Open Field has been a smashing success, and it’s no wonder people want to hang around outside whenever possible (in Minnesota). Yet, some of you may be asking what’s happening inside the Walker Art Center. Well, I can assure you that it’s just as busy in the Star Tribune Art Lab; it doesn’t go dark in the summer. 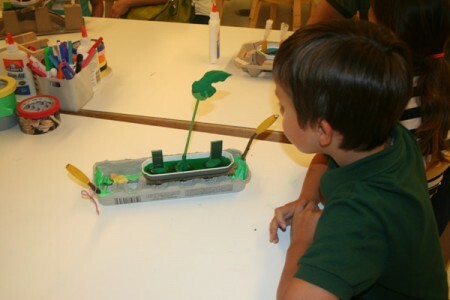 Many campers are visiting the Minneapolis Sculpture Garden and coming to the lab for some hands-on art making. 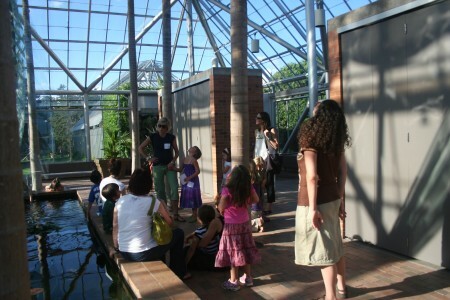 Every Tuesday evening in July families have been gathering together for our Once Upon a Garden class. Skyscapes happened on July 6th. We walked around the western side of the Walker campus with cardboard frames in hand looking at the grass and the sky. Our destination was Sky Pesher by James Turrell. We stretched out on the benches of this outdoor room and concentrated on the open ceiling. Clouds passed quickly through this room’s overhead frame. 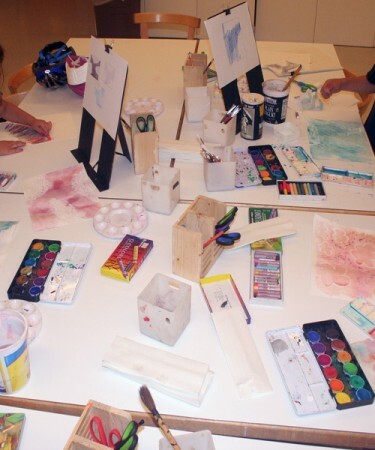 Everyone sketched the clouds on paper with colored pencils. Back in the art lab, these drawings were used as the subject for a series of watercolor paintings. 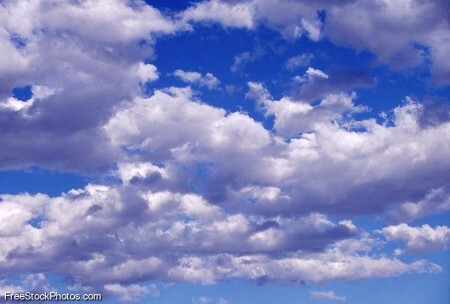 If you were sitting in Sky Pesher, what would the sky look like at midnight, at sunrise, during a storm? Stage Play took place on July 13th. We started outside making sun prints. Objects were placed on light sensitive paper blocking out the sun. 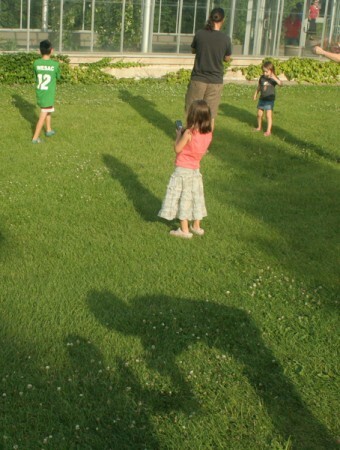 While the prints were being washed in the art lab, the families went to the Minneapolis Sculpture Garden to play with their own shadows. They practiced their storytelling on the grass and performed on Belvedere, the sculpture/stage by Jackie Ferrara. Next, their figure shadows were captured with a Flip HD video camera. Back in the art lab, the videos were downloaded and projected on a translucent curtain with a data projector. Each participant took a turn behind this curtain creating new movements and new shadows for the audience. How was it done? An overhead projector was set up backstage pointing light on the back of the curtain. The mixing of shadows was great fun to watch because the indoor live-action shadows interacted with the video clips shot outdoors. 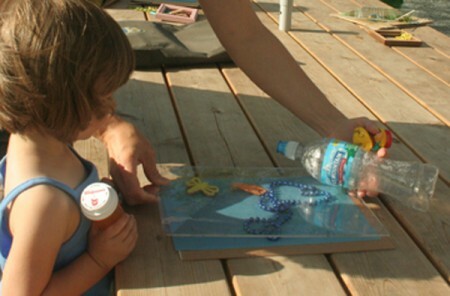 The finishing touch to the project was to add real water and some drops of food coloring to the pond. Many chose blue to resemble the reflection of the blue sky that night, but one artist noticed the algae in the pond outside and chose green for his water element. Next week will be the last session of Once Upon a Garden. Come and join us for Garden Animals. These creatures really are going to move.